Samsung has revealed the Shape M5, a small wireless streaming speaker that would directly compete with Sonos Play:1 by offering wireless streaming in the house. The M5 will be officially unveiled at CES 2014 and will join its larger sibling the Shape M7. Whilst the M7 features five drivers the smaller M5 will only feature three making it more portable. 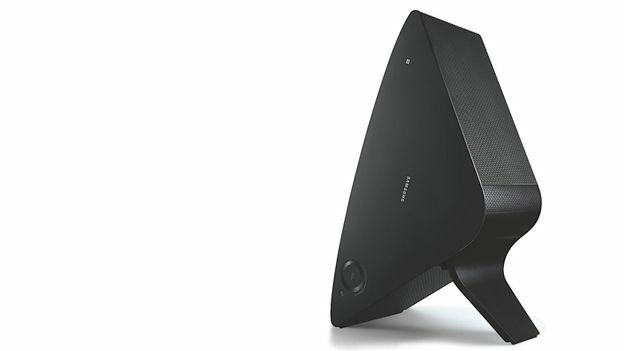 Samsung is clearly hoping to take on Sonos with its own range of connected home speakers and could well be looking to take it even further at CES 2014. According to Samsung's own official blog the company is looking at the future of connected homes and will releasing a new Smart TV update that will let you control anything from your audio, lighting and even the refrigerator.